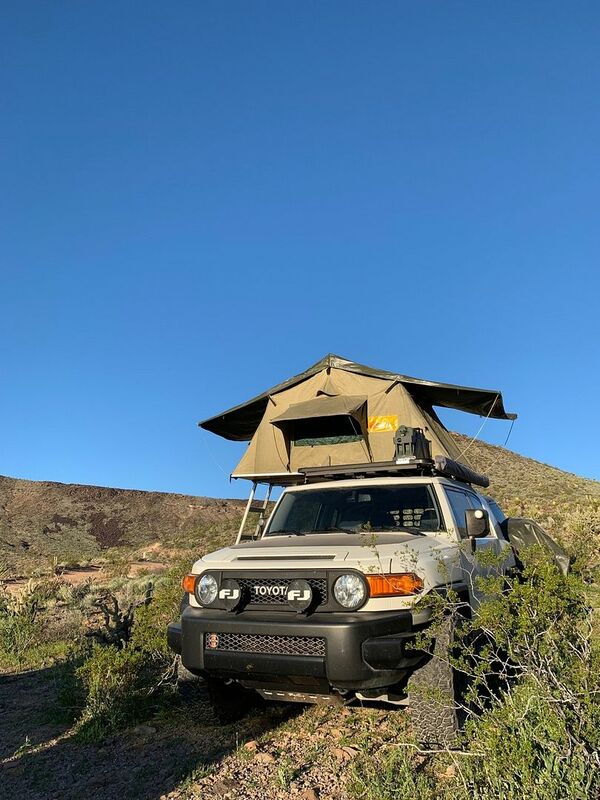 Toyota FJ Cruiser Forum > Toyota FJ Cruiser Forums Site Functions > Toyota FJ Cruiser News > Member of the Month April 2019: tsfarling!!! We'd like to congratulate tsfarling – Tyler for being selected as the April 2019 Member of the Month! Tyler: I live in southern Utah. I have a German Shepherd that is 6.5 years old. I work for the state Public Lands Policy Coordinating Office mapping Utah’s backcountry roads. I have a Bachelors in Environment Sustainability and a Masters in Fisheries Biology. I am the president of our local Trout Unlimited chapter, an avid fly fisherman, musician, and I love camping and exploring the backcountry. Hayden: How did you come to own an FJ Cruiser? Is the FJ Cruiser your first off-road vehicle? If not, what was the first vehicle you took wheeling? Tyler: My FJ is my first true off roader. For a few years in the early 2000’s I owned a silver 1997 Toyota Rav4. It was my first AWD type of vehicle but not a 4x4. To be honest, those things are a lot more capable than you’d think but in Indiana, off roading was plowing through snow drifts in fields in the winter and it was very good at that. I als had a 4x4 Silverado for a short time too but didn’t use it for the intended purposes of a work truck or off road. 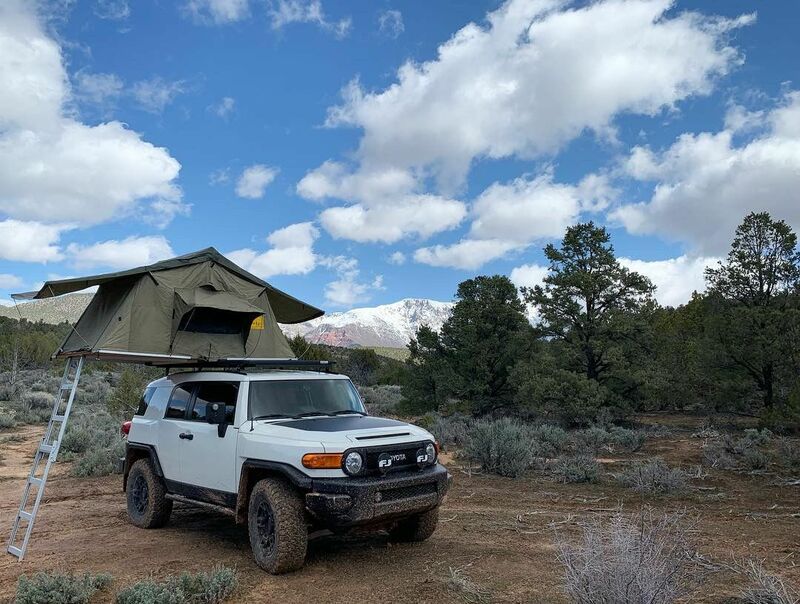 At the time, I lived in Indiana, where I grew up, and I didn’t have any desire to offroad or do any sort of camping out of my vehicle. It wasn’t until I moved out West that vehicle camping and off roading was brought to my attention. This would have been in my early 20’s so, 18 years ago lets say. When I lived in Idaho, I traded my Rav4 for a Honda Element (2006) thinking that would suffice. I soon realized I wanted to go further off road. A month after buying the Element, I spotted this weird blue and white 4x4 in a magazine. 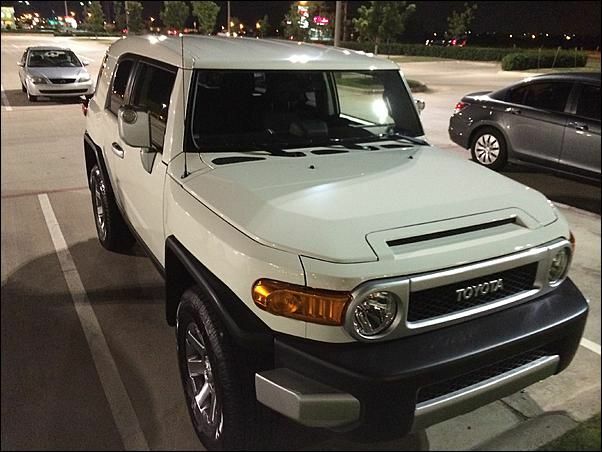 I had missed that Toyota was bringing this vehicle to market called an FJ Cruiser. At the time, I believe the article had MSRP at $26000 and I though, man, I just paid nearly that for a vehicle that can’t do what the other one can do. I told myself at that time, I would buy an FJ Cruiser when I could properly afford to do it. Fast forward to 2014 and I had just finished my undergrad. I knew it was the last year Toyota was making them and I didn’t want to buy a used one so I decided it was going to be my last chance to get one that only I had driven. I had seen too many videos online of people submerging the hoods and beating them off road I though, yeah, I don’t trust a used one. I test drove 3 Trail Teams Ultimate Editions at my local dealer. One with a 3” lift, a 6” lift (drove terribly), and a stock height one. I walked away that day not wanting to pay the higher price just because it was a special edition. A few weeks went by and my sensible side decided to buy a Subaru Forester (HA!). I was in the signing room negotiating financing and my Toyota dealer called me. They said look, we just got in an FJ and it has the off road package but no other added on accessories, bare roof, no sliders, and such for $31k. I got up, shook hands, and said, sorry, I have to go buy and FJ Cruiser. The end. Ha! Tyler: I found the forum when I first started looking for used parts, probably through Googling FJ parts, etc. The dealership wrote me a check for $800 since it didn’t come with any accessories so I thought I would stretch the money by going used and I sure did. The classified section was my first draw to the forum but then database of knowledge became ever so valuable as I kept looking at what else I could do with my build. My main goal was to try and keep the vehicle as close to factory as possible. 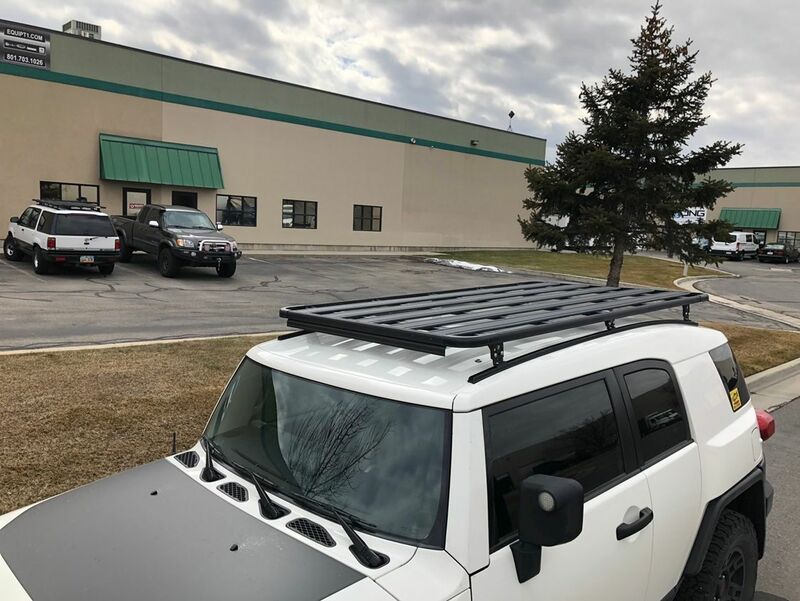 Over the years, some of that philosophy has been forced to change as you will read below about an underperforming OEM roof rack. I don’t want to have some fancy suspension so I upgraded to the TRD Bilstein 6112/5160 setup that came on the TTUE package and I added airbags for trailer hauling. I have put the OEM suspension on my work vehicle through torture and nothing has failed. Toyota tends to over engineer things so I trust that my stock UCA’s and LCA’s will be fine as long as I don’t upgrade shocks/coils past their limits which is why I stuck with the TRD branded Bilstein setup. Its very nice by the way. After all, I am not doing the same kind of off roading with my personal vehicle as I do with my work vehicle. 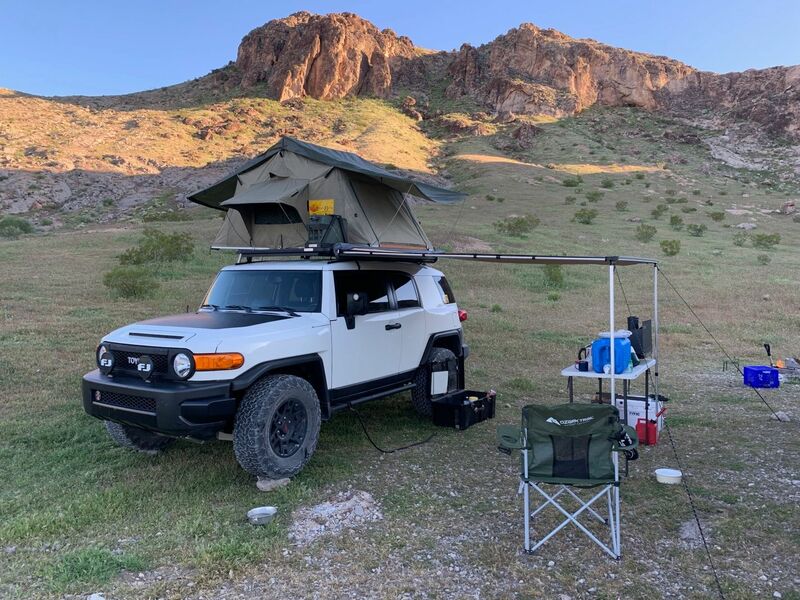 The best modification I have done so far is accessory based but has to be my Eezi Awn K9 rack (87x49) platform and the Eezi Awn Series 2 1400 tent. I bought both recently and it has completely opened up my build in a whole other direction. After spending many years with an OEM rack, I realized how useless the roof space had become and with our new camper, I needed to utilize that space to put some gear up there. 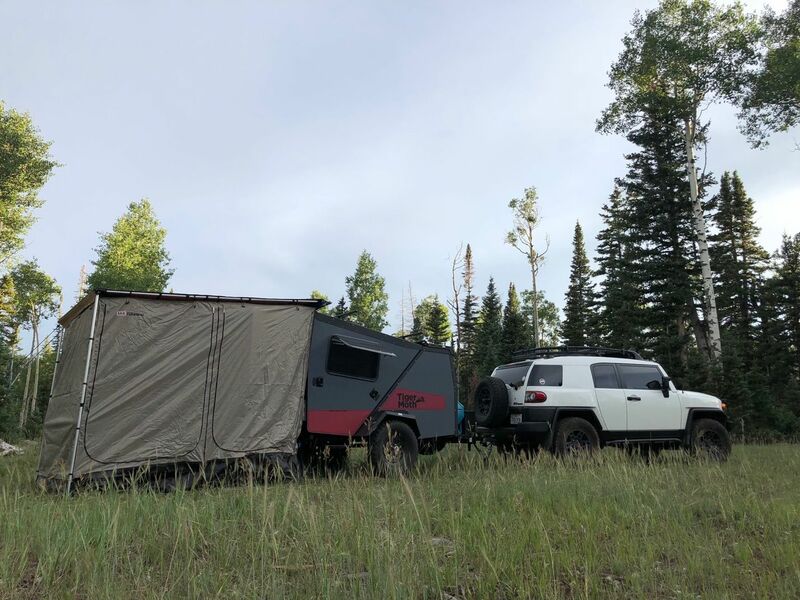 I also have a Taxa Tigermoth “off road camper” that I use for camping but quickly realized it had some limitations for storage and certain types of terrain or places we liked to visit. My FJ is the first one in the world to have the 87x49 platform from Eezi Awn. I shyed away from Eezi Awn for a while because I didn’t want a 55” wide platform and it didn’t look right to me on the website. After talking and meeting with Paul May at Equipt for quite some time, he went and measured it out and said, hey, I think it might actually work with the mounts and it did by a half an inch! You can now find photos of my FJ on the Equipt site with their new 87x49 offering. The rack sells itself when you see it in person. It is not multiple pieces bolted together. It is extruded aluminum welded together with crossbrace supports and the main platform running parallel with the roof to virtually eliminate wind noise. It accepts M6 bolts on the outer edge and M8 bolts in the interior t slots. It also has those slots underneath so it is literally a nut and bolt and your rear chase lights are mounted or on the side, a slide in bolt and accessory adapter and you’re done! I love it! $1350 well spent. My Eezi Awn tent fits perfectly and I have room for more accessories at the front still. If you don’t find an accessory that Eezi Awn has to offer, you can always use Frontrunner accessories on the flat platform as well. Tyler: My least favorite upgrade was the Gobi Ladder. I hated not being able to open the back window for my dog and when I removed it, it had dented the top of my door. If I have another ladder, I will fab it myself and make it one that is modular so it can be opened like a clamshell for window access. That is on a long list of to dos. Hayden: What has been your favorite thing about owning an FJ Cruiser? You will spot a 4Runner in there every once in a while because we used those when the FJ is getting a new set of tires (3 set last year) or a new radiator (3 of those last year). Great vehicle for a lot of off roading but that back end drags through every wash and dip. Tyler: Loganbeere has a great looking rig. It also happens to be white so it is easier to visualize what mine could look like. While I don’t really have any of the same mods, his build helped me think of what my next step might be. 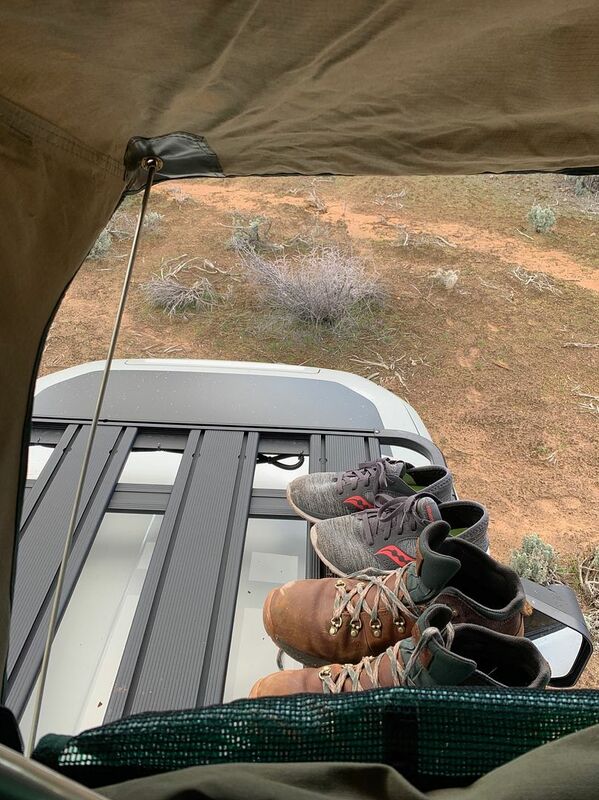 His recent 270 degree awning has me thinking… maybe I need one of those? My build keeps going more and more towards, “how useful can I make this for camping but keep it practical as a daily driver?” I look at a lot of rigs and build threads to see little things like, how to add a USB port or how to wire a fridge or lights. Locally I have met Russ Wright and his 2012 FJ Cruiser. He has helped me with modifications (suspension, lights, etc.) We trade off on whose turn it is to help the other. I helped him install his front and rear Expedition One bumpers two weeks ago. They are pretty awesome. Seeing that in person also helps give you ideas and his knowledge of modifications is pretty extensive. He has built a few other vehicles in the past. 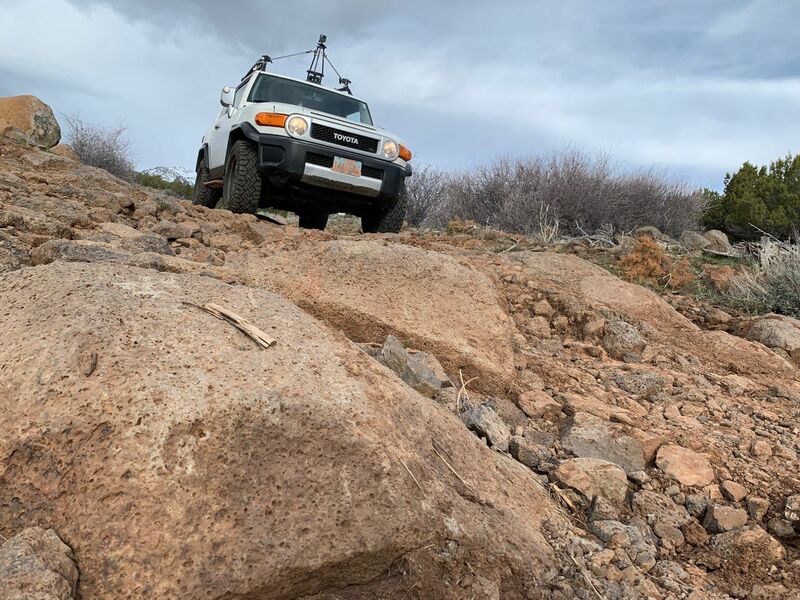 Tyler: The FJ has been all over southern Utah. Since I am out all over the state, I constantly am finding new places to camp or tour. Sometimes I go back with my personal FJ and take my wife. We drive those roads and sometimes it’s just to get to a camp site. In Utah, the Grand Staircase offers some of the most breathtaking scenery. Not a lot of Moab type offroading but a great place for what I like to call “touring or as it is commonly referred to now, overlanding”. I recently drove the Mojave Trail in southern California and it is my new favorite trail. 157 miles or so of dirt roads with many spurs to explore and lots of camp sites along the way. Hayden: Is there a trail/park/location you haven’t visited yet that you would like to take your FJ to someday? Tyler: I have driven by Ouray, Colorado like 20 times and have never stopped. My friend drove Black Bear Pass and a couple others on a loop from Lake City, Colorado last year in his 2nd Gen stock Tacoma and said it did fine. I’d like to do Black Bear Pass at some point but I always get distracted with fly fishing in Colorado and never make time to do those trails. My dream trip is to drive up to Alaska. Take a few weeks, fish along the way, explore some backcountry, and just take it easy. Hayden: What is a trail or off-road area in Southern Utah that you’d recommend to others to check out? 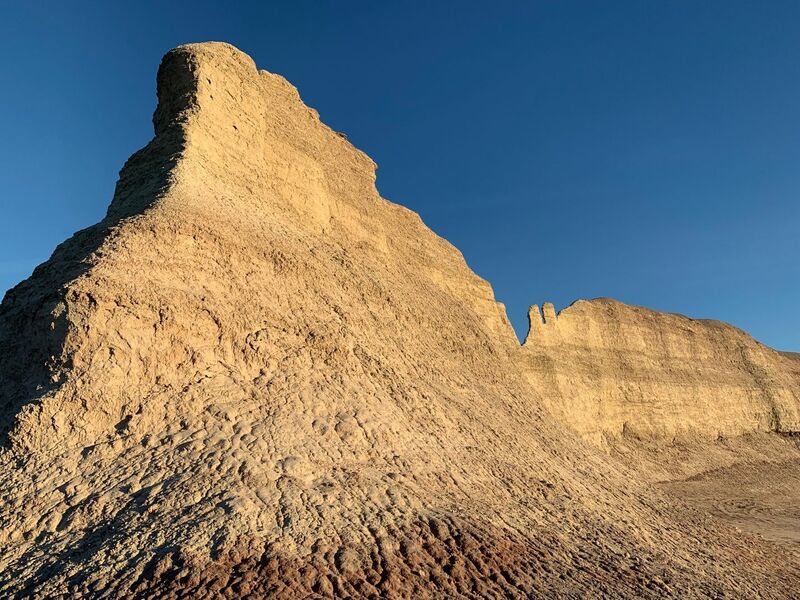 Tyler: The San Rafael Swell and down into the Grand Staircase Monument are areas that are just otherworldly. Pick a road or a series of roads and go drive them. The scenery changes are dramatic and don’t feel like you are still on this planet. You can explore all of these areas with BLM maps that come with detailed road maps. Tyler: My most memorable experience was probably the first time I visited Utah before we moved here. It was still very stock and we were visiting the Moab area. We drove down Mineral Bottom Road and it was pretty freaky as far as all the exposed turns and stuff go. Living most of my life in the Midwest (except for the Idaho years) I didn’t have a lot of experience with that kind of switchback driving. Looking back, I was a true flatlander that day. I drive that kind of stuff all the time at work, sometimes with the edges of the road crumbling away as you drive so I have gotten used to it now. Hayden: What do you enjoy the most about the FJCrusierForums? Tyler: I enjoy the comradery of the group. I enjoy the regulars a lot too. 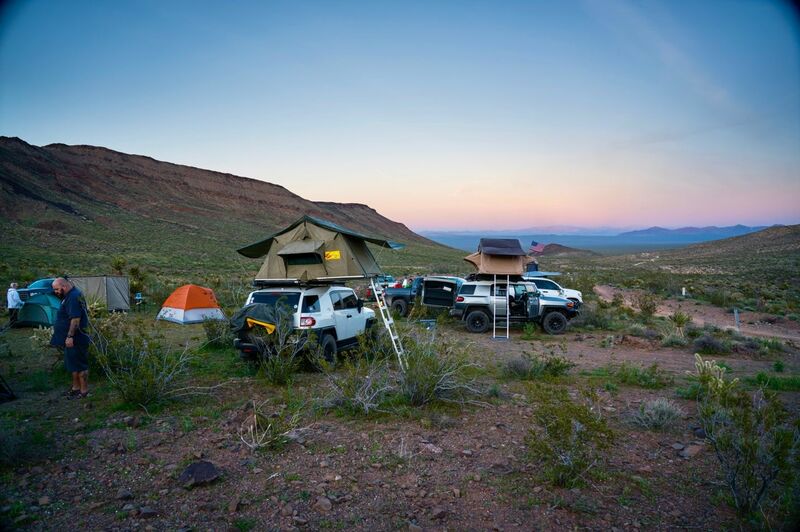 I don’t know if I will ever get into an FJ Summit to meet some of these people but I do frequent Overland Expo West and will be goingto that again this year. Tyler: I think the forum has kept me motivated with seeing something new being done to someone else’s rig. It has also grown my knowledge base of all things FJ Cruiser. I know my biggest contribution is my slow build thread. It has over 31,000 views so somebody is looking at it and using it! Hayden: In a world without new FJ Cruisers being built, do you plan on keeping yours forever or upgrading to a newer model ever? Tyler: I am going to be keeping it until I can’t find parts for it anymore. I have talked about when the day comes for a new motor, I would like to put a diesel in it. Their is a company that puts a Toyota 1KD-FTV kit in them. If they are still around and doing that, I will most definitely go that route but if someone makes some sort of miracle advancements in battery technology, I wouldn’t be against an electric version for the FJ. Hayden: What do you expect to be in your FJs future build-wise/travel-wise/etc? Tyler: I would say kind of what I said earlier and add on caveat, build your rig but don’t forget to go out and enjoy. Do we need all of this stuff to go and camp or off road? Not most of it but it’s fun to have it and it can make both experiences a lot more comfortable. The caveat would be, “buy once, cry once”. Paul May at Equipt Expedition Outfitters said this to me at Expo West last year when we first met and it is very true. Don’t buy something cheap just to have it. 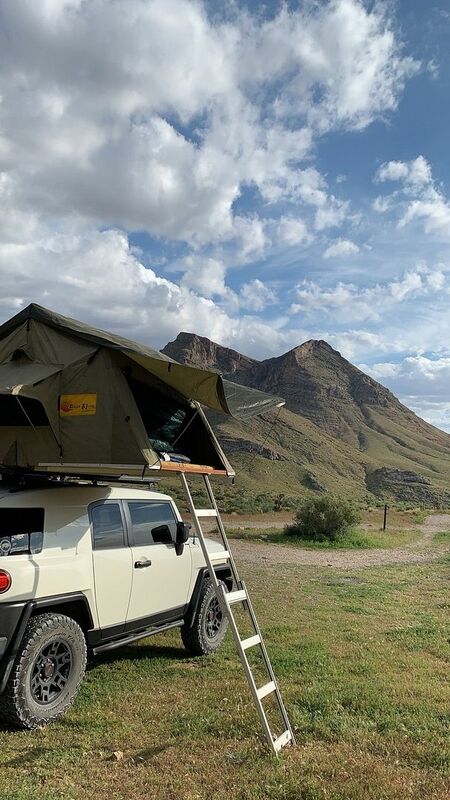 If you want to get a roof top tent, buy the right one the first time. Same goes with a rack and bumpers. I see so many people burn through these things on the classifieds of other sites, it’s unreal (It’s great for the people who want to buy the same thing but find it used!). For example, I paid full price for my rack but not my tent. It’s a $2500 tent that I got used for $750. A lot of our stuff doesn’t hold value (except a supercharger) so instead of buying the cheap things two or three times that could add up to the cost of one good thing, buy the good thing and go enjoy it. You won’t regret it! CRFjockey, tsfarling, FJFool and 7 others like this. Last edited by FJX2000; 04-14-2019 at 11:47 PM. 2010 TT 6MT. 4.56+ARB locker, Icon Coil Over Shocks+FOX 2.5 Rear+Icon UCA. All pro HD steering Kit. Metal Tech tube bumper with Caterpillar GTB 9000 Winch. Light Force Striker 170 HID. K&N cooled Air Intake. Ricochet Skid Plate. All-Pro Rear LCA. ARB Half Rack. Boztech Diff skid 285/75/16 Goodyear MTR, Edelbrock Exhaust. URD Short Shifter. Total Chaos LCA Skids. Wow, that sounds like an incredible job that he has. jimmy-buffett, FJX2000 and tsfarling like this. Congrats Tyler. I appreciate an efficient rig and I like that you're concentrating on going out there rather then too much emphasis on flashy mods. Keep it up! CRFjockey and tsfarling like this. Nice! Liked the story, congrats. Congratulations! Always love your pictures. edit: I can understand the tires, but why three radiators? Wasn't going to ask but I couldn't quit thinking about it..
6 Attachment(s) It's Getting Real.